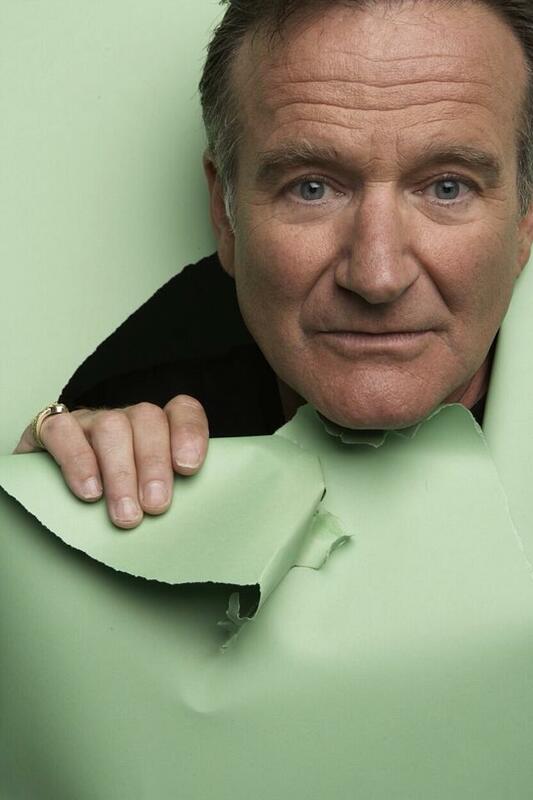 Robin Williams: The eyes had it. There was always something about Robin Williams–something intangibly lurking behind the eyes that betrayed a sadness in direct disproportion to the joys he conjured in others. His face would smile, but his eyes–the EYES. They were different. They told of something other . . .
I’m of the belief that Williams’ stream-of-consciousness virtuosity was a component of his internal makeup; his hard drive was bigger and faster than the average. His software was constantly updating in direct disproportion to the world around him. He was, in effect, a MacBook Pro in a Commodore 64 world. I believe his prescient gifts allowed his stupefying, light-speed cognitions to see the world’s trajectory–its future–it’s nihilistic yearnings. And yet he couldn’t possibly convey it. He could see over the dashboard. I also believe that same software was in no way equipped to handle the data. Something was missing; the eternal patch never made it to the download folder. And so it crashed. Blue screen forever . . .
And I for one am saddened. This entry was posted in CS Lewis, Writing and tagged Comedy, Depression, God, Robin Williams, Spirituality, Suicide, writing. Bookmark the permalink. 2 Responses to Robin Williams: The eyes had it.